Attorney Ted Murphy spoke on November 2, 2014 at a presentation by the group “Fight for Drivers Licenses” in Chambersburg, PA. Those in attendance, mostly Hispanic, are hoping to influence representatives in the Pennsylvania General Assembly to pass House Bill 1648 which would allow undocumented individuals to obtain a driver’s license. 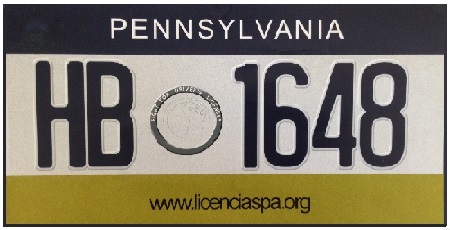 Between 1992 and 2002, Pennsylvania allowed for the issuance of drivers licenses to anyone who had an Individual Taxpayer Identification Number (ITIN). That is a tax processing number issued by the Internal Revenue Service to people who are not eligible to obtain a Social Security Number.